To many people both inside and outside the Movement, ISKCON’s current Guru system is a complete farce. Perhaps predictably, all the scandal, falldowns and endless self-contradiction amongst Srila Prabhupada’s wannabe successors (the 80 competing ISKCON ‘Gurus’) has opened the way for yet another personality, this time from outside ISKCON, with designs on Srila Prabhupada’s legacy. The GBC have preached for many years that everyone must have a “living, physically present Guru” (or anyone but Srila Prabhupada), and now they are reaping their reward. His Holiness Narayana Maharaja a disciple of Srila Prabhupada’s Godbrother, His Holiness Kesava Maharaja has had considerable success in attracting both ex and current members of ISKCON to his camp, by promoting his qualification as a “living, physically present Guru”, who is bona fide and won’t fall down, unlike the ISKCON Gurus. In this article we shall use Narayana Maharaja’s own words to see if he is bringing us closer to Srila Prabhupada. Above, Narayana Maharaja boldly stakes out his pitch in direct competition with all the ISKCON Gurus who also want to succeed and replace, not complement, supplement or assist Srila Prabhupada. Clearly the above goal of trying to match Srila Prabhupada can only be achieved if Narayana Maharaja’s books alone are being distributed by his followers, and that is generally what is happening. That Narayana Maharaja would go onto say the complete opposite of what he himself claimed 17 years earlier, demonstrates opportunism of the highest order. “Your Prabhupada, Srila Swami Maharaja, only changed the name into English. He is not the founder acarya of that eternal ISKCON… I am ISKCON. I’m not different from ISKCON. I am ‘Bhaktivedanta’ [Srila Bhaktivedanta Narayana Gosvami Maharaja]. Like father, like son. Above we see Prahlada Maharaja described as a pure devotee who actually shunned the results of jnana (knowledge). Thus Narayana Maharaja again disagrees with the siksa (instruction) given by Srila Prabhupada, even though he also rather immodestly claims to be his “dearmost siksa disciple”. (There are more examples of such contradictions on the back page of this magazine). This claim is based on Srila Prabhupada stating “you kindly instruct them on this matter” to Narayana Maharaja, during a Bengali conversation spoken between the two sometime in October-November 1977. Srila Prabhupada: Are any of my god-brothers in Vrindavana now? Narayana Maharaja: Van Maharaja might be there, as well as Indupati Prabhu from Caitanya Gaudiya Matha. Narayana Maharaja: Only these two at the moment. Srila Prabhupada: Who is Indupati? Narayana Maharaja: He comes here often. 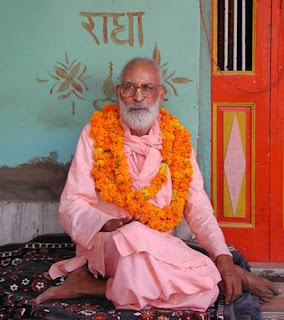 Bhakticaru Swami: From Madhava Maharaja’s matha? Narayana Maharaja: Yes. No one else is here. Srila Prabhupada: Please call both of them. Van Maharaja and him. Narayana Maharaja: This is very good proposal by you. Srila Prabhupada: Please sit down. They will call them. Narayana Maharaja: These are insignificant matters in such a substantial worldwide mission. A little something here and there is of no consequence. You have done this wonderful preaching work for the benefit of the whole world. There was no self-interest. You did everything only in devotional service to Krsna for benefiting all people at large. Srila Prabhupada: It is all by your blessings. Narayana Maharaja: You have done a wonderful thing. It is necessary to care for and preserve this mission, and see that it is managed skilfully. Srila Prabhupada: You kindly instruct them on this matter. I’m unable to speak. 1) The word “them” refers to Srila Prabhupada’s Godbrothers who were to arrive shortly, not to Srila Prabhupada’s disciples. The word “them” comes twice before the final sentence,and both times it refers to his Godbrothers, Indupati Prabhu and Van Maharaja. 2) The “matter” on which Srila Prabhupada wanted Narayana Maharaja to instruct his Godbrothers was that they forgive him for any “cutting of arguments” he may have done in the course of his preaching. 3) And “when” was this instruction to be given? There and then. Immediately after Srila Prabhupada asks Narayana Maharaja to give in struction he states: “I’m unable to speak”. This is the reason he is asking Narayana Maharaja to make these points to his Godbrothers on his behalf when they arrive. So here we clearly see a false claim made by Narayana Maharaja to promote his agenda as being the “real successor” to Srila Prabhupada. In conclusion, on the basis of all the above, it is clear from Narayana Maharaja’s OWN WORDS that he is not simply a “dearmost siksa disciple” of Srila Prabhupada whose aim is to help to bring us closer to Srila Prabhupada. Rather he is no different to the 80 wannabe “successor Gurus” of ISKCON, doing and saying whatever is necessary to jockey for Srila Prabhupada’s position. "I am not his uttama adhikari (successor). Actually I am. Those who are falling down are his successors outwardly, but spiritually and transcendentally I am his successor." For those of you who thought that Narayana Maharaja was only visiting ISKCON to 'help', we have clear proof here that he intends to do a lot more than just 'help' - rather he wishes to help himself. He is revealing here his ambition to try and take the fruits of Srila Prabhupada's work, and be another competitor to the current pack of jokers who are also claiming that they are Srila Prabhupada's successors, and who as Maharaja has correctly pointed out, are usually 'falling down'. However we have news for him and the other 'pretenders to the throne' currently acting as 'successors' within ISKCON. Srila Prabhupada is not going anywhere soon - infact at least not for the next 10,000 years. He never left. So before announcing to us that you are a 'successor', please note the 'NO VACANCY' sign in the window. Srila Prabhupada: My success is always there. Srila Prabhupada: Yes, my Guru Maharaja is there. "Srila Bhaktisiddhanta Saraswati Thakura had so many very qualified disciples. Among them our Guru Maharaja was very prominent; and others were also, like Pujapada Srila Sridhara Maharaja, Srila Bhaktivilasa Tirtha, Srila Sauti Maharaja, Srila Giri Maharaja, Srila Bon Maharaja, Srila Vikaras Bharti Maharaja, Srila Madhava Maharaja, Srila Siddhanti Maharaja." "Still he is so envious, black snake." For many more difference between the teachings of Srila Prabhupada and Narayana Maharaja. Thus these differences alone prove that whatever elevated qualities Maharaja may possess, one thing he definitely is NOT, is the 'successor' to Srila Prabhupada, for what sort of a 'successor' is it that teaches the complete OPPOSITE to Srila Prabhupada? Narayana Maharaja (NM) has given a lecture which is supposed to be "A Response To The Ritvik System". Unfortunately rather than being a RESPONSE to the Ritvik System, it is actually nothing but a FABRICATION about the Ritvik system, wherein Narayana Maharaja has only presented his imagination regarding the IRM's presentation of Srila Prabhupada's instructions on the Ritvik system. We will quote portions of his lecture below enclosed in speech marks thus " ", with our comments following underneath enclosed in parentheses, thus [ ]. The lecture was delivered by Narayana Maharaja on July 19th, 2001, in Polansk, Russia. The transcript of the lecture was typed and edited by Sripad Krishna Bhajana dasa Brahmacari, and proofread by Srimati Premavati devi dasi. "Those who think, "There is no need to accept a guru as a mediator because we can chant the holy name, we can read books, and we can do arcana and sadhana simply by the rtvik system," are not within the guru-parampara. They deceive others. They are actually cheaters; not bhaktas." Of course no one except NM has ever even proposed this. The Ritvik system is DEFINED as accepting Srila Prabhupada as the Guru who mediates. Thus the only person doing the 'deceiving and 'cheating' here is NM. "Nowhere in the sastra is it written that a rtvik can ever give bhakti. This can never be the case. " Nowhere has it ever been claimed by anyone that the 'Ritvik gives Bhakti'. Those who accept the Ritvik system receive Bhakti from the self-realised Guru, Srila Prabhupada. "They say that in this world there are no pure devotees, and therefore there are no pure devotees to initiate anyone. This idea is very, very wrong and it is against the principles of bhakti." No we do not say this. In "The Final Order" we actually state the opposite. There maybe many pure devotees. But this does not change the fact that Srila Prabhupada established the Ritvik system for ISKCON. Thus NM's idea is 'very, very wrong' and it goes against the principles of actual Ritvik system as given by Srila Prabhupada. "Beware of this rtvik system. Without a self-realized guru you cannot achieve bhakti in thousands of births. This is an established truth. This is siddhanta. You should therefore accept a sad-guru, serve him, and try to follow his instructions. Then you can develop your Krishna consciousness and all of your anarthas will disappear. Otherwise, it will never be possible for pure bhakti to come and touch your heart and senses." Since the Ritvik system actually ENABLES one to 'accept, serve and follow the instructions of the self-realised sad guru', it is clear that one must 'beware of NM', for he is teaching the exact OPPOSITE of the truth. Otherwise 'it will never be possible for pure understanding to come and touch your heart and senses'. "I would like to clarify one thing. I am not saying that all rtviks mislead others. Only those who say that there is no need of a guru do so. Real rtviks know all sastras, and all of them have gurus. A rtvik cannot be a rtvik without accepting a real guru." Since a Ritvik is DEFINED as someone who accepts Srila Prabhupada, it is NM who is again misleading us by positing the existence of a non-existent entity. "Nowadays, therefore, those who call themselves rtviks are all cheaters, and we should beware of them." Here NM contradicts himself. He had JUST said that he is: "NOT saying that ALL rtviks mislead others." Here he says that: "Ritviks are ALL cheaters". "There are so many gurus: caitya-guru, diksa-guru, siksa-guru, bhajana-guru, and others. Why go to a bogus-rtvik guru? If our siksa-gurus are Caitanya Mahaprabhu, Nityananda prabhu, and Radhika, why do we need to go to these rtviks?" Since Ritviks accept all these same 'Gurus, and do NOT accept a 'ritvik-guru' (this term is never used by either Srila Prabhupada or "The Final Order"), since all the Ritvik does is perform a ceremony on behalf of the Real Guru - Srila Prabhupada - the actual conclusion is why do we 'need to go to NM', since he states nothing EXCEPT the actual OPPOSITE of the facts. "This word 'rt' has come from the word 'Rg-Veda.' Those who know all Vedas, including the Rg, Sama, Yajur, and Atharva Veda, all the Upanishads, and all the Puranas, are actually rtvik. [...] (There are nineteen places in Prabhupada's books where the word 'rtvik' is used, and in all cases the word only refers to a priest officiating or performing a fire sacrifice). [...] After deliberation upon the Mahabharata, Ramayana, and Puranas, it becomes obvious that rtviks have nothing to do with the supreme transcendental goal...'Rtau yajtiti rtviki.' One who conducts sacrifices according to Vedic mantras is called a rtvik. There is an arrangement of 16 types of rtviks to perform the sacrifices." This is massive contradiction by NM. Earlier in an interview that he had given to the ISKCON Journal in 1990, NM had claimed that: I have not seen the word "ritvik" in our Vaisnava dictionary. (…) We have seen no such word as "ritvik". Now NM wants to enlighten us how the word Ritvik not only exists, but how he has seen it in many places from the Vedas to Srila Prabhupada's books! "I think, however, that these modern rtviks don't even know the ABC's of the Vedas. [...] There are nineteen places in Prabhupada's books where the word 'rtvik' is used, and in all cases the word only refers to a priest officiating or performing a fire sacrifice. Even when the word used is 'rtvik acarya,' it is still defined as a priest performing a fire sacrifice for a secular gain." The word 'ritvik-acarya' is NEVER used in Srila Prabhupada's books. It seems it is NM who does not know the ABC's of Srila Prabhupada's books. "Those who advocate the rtvik system are misleaders, and their followers are misled. Do not go towards the rtvik system. In none of the sastras has it been said that this rtvik system will give bhakti. Be careful regarding the bogus rtvik system. [...] You should give up the idea that the rtviks can help. They can never help you. They have never even helped themselves, so how can they help others?" As we have conclusively shown above via NM's numerous false statements and contradictions, it is NM who is the misleader, who is misleading all his followers regarding the IRM's advocation of the Ritvik system. Thus one must 'be careful regarding the bogus understanding of the Ritvik system' given by NM, and give up the idea that NM can help us regarding understanding the true facts about Srila Prabhupada's instructions regarding the ritvik system. Any hope that this was simply a one-off aberration on the part of Maharaja is dashed by the fact that he has also repeated similar nonsensical statements in a magazine containing 6 of his essays called: “The True Conception of Sri Guru Tattva". Below we analyse some of these statements. Statements made by NM in the aforementioned magazine shall be enclosed in a blue tinted panel, with our comments following underneath in bold text. Nor will we find any statement from the IRM or “The Final Order” (TFO – the IRM’s position paper) proposing the same. No one has ever proposed that one accept a 'ritvik-guru' (this term is never used by either Srila Prabhupada or "The Final Order") as an alternative to accepting a Diksa Guru in order to perform one’s sadhana. Rather a ritvik priest is simply someone who officiates on behalf of the Diksa Guru when the initiation is being performed. Thus NM is presenting here a classic ‘straw-man argument’ – this is an argumentative device in which one attacks a position not held by one’s adversary and defeats this false position as an alternative to addressing the adversary’s real position, which one is unable to defeat. This is again another ‘straw-man argument’. “The Final Order” offers no opinion on the state of the world. It merely states what was the system of initiation established by Srila Prabhupada for ISKCON. 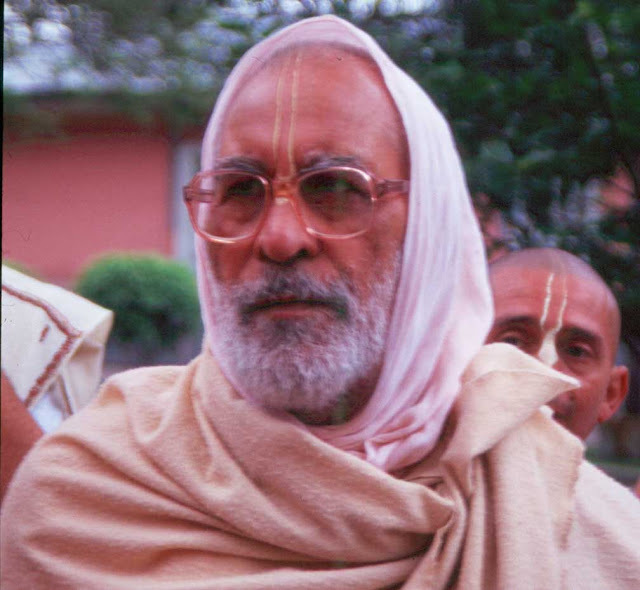 And this, as established by his July 9th 1977 directive, was to have him as the initiating Guru for ISKCON. “Parampara means to hear the truth from the spiritual master”. “Parampara means they do not change the word of Krishna. That is parampara”. Srila Prabhupada is still giving us this truth and is not changing the word of Krishna. In this way HE is continuing the parampara, not ‘ritviks’. Secondly in the July 9th directive Srila Prabhupada authorises representatives to give first and second initiation just as it was being done when Srila Prabhupada himself was physically accepting disciples, and this involved extensive use of ‘cassette recordings’ of Srila Prabhupada chanting the gayatri mantra. Of course no one, except NM’s imagination has proposed such a thing. The position of TFO relates only to what Srila Prabhupada ordained for ISKCON, not what may or may not happen in every nook or cranny of the planet from now till the end of time. This process was also not possible through cassettes when Srila Prabhupada was physically present, since Srila Prabhupada second initiated the vast majority of his disciples via the medium of his audio recordings, having never met most of them. Thus NM is here directly attacking both the system by which Srila Prabhupada gave initiation when he was on the planet, and the system Srila Prabhupada set up for initiations to continue in ISKCON. 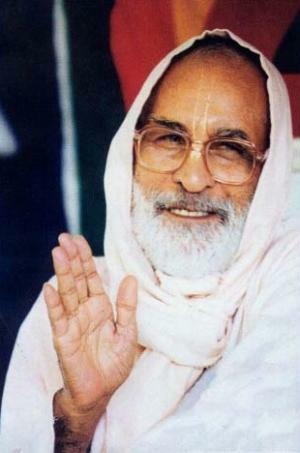 NM’s contention that there is a ‘flaw in the ideology’ of using audio cassettes to give Diksa after the disappearance of the Guru thus applies equally to the use of audio cassettes even whilst Srila Prabhupada was on the planet, since even in the latter case mutual examination between Guru and disciple did not take place in the majority of cases. For as already stated Srila Prabhupada used this ‘cassette’ system to give second initiation to the vast majority of his disciples without having ever met them. Thus NM is saying therefore that there is a flaw in Srila Prabhupada’s ideology, since it is a proven fact that this is the system he used. NM again re-affirms that his criticism applies equally to the use of cassette recordings by Srila Prabhupada even whilst he was on the planet, since the above process of mutual examination between Guru and disciple was not undertaken in the majority of cases where Srila Prabhupada gave initiation. This is a new departure for NM in that he is attacking Srila Prabhupada’s conduct directly, implying that all those disciples of Srila Prabhupada who received second initiation by hearing the gayatri mantra on the cassette tape without having met Srila Prabhupada, which was the vast majority of them, were not correctly initiated. It may only be a matter of time therefore, before NM takes the further bold step of ‘re-initiating’ all the second initiated disciples of Srila Prabhupada who were incorrectly initiated via the ‘cassette tape’. This is the logical implication of his criticism of the method via which Srila Prabhupada gave second initiation. Yet the vast majority of Srila Prabhpada’s disciples became his disciples without ever receiving his ‘direct darsana’ or experiencing his ‘physical presence’. Thus Srila Prabhupada himself proved by his direct example that there is no link between becoming a disciple and associating physically with the Guru. Why is NM trying so hard to prove the opposite and thus try to prove that there was a ‘flaw’ in the way Srila Prabhupada initiated his disciples? Yet Srila Prabhupada established through his world institution ISKCON that the COMMON method for the common people to receive Diksa was without his physical presence and via the cassette recording. Thus again NM is attacking Srila Prabhupada’s method of conducting initiations by stating that Srila Prabhupada did not give his initiations via a ‘bona fide and effective medium’. Here NM contradicts himself. Previously he had stated that giving initiation via a cassette was an ideology which had ‘flaws’ because the Guru and disciple could not examine each other, and was NOT a ‘bona fide and effective medium to give Diksa’. Now he claims it is acceptable when the disciple is not able to come before the Guru due to circumstances. Then the Guru’s representative or cassette CAN give initiation. Which is exactly what the Ritvik position states. This principle that NM has enunciated here is applicable whether the Guru is on the planet or not. Whenever the Guru is not present, either by being somewhere else on the planet or in the universe, the disciple is unable to come before him and he can receive initiation via a representative or cassette. The key point according to NM is only that the Disciple is faithful and he is unable to come before the Guru due to his circumstances. So in another flip-flop contradiction, NM is endorsing the ritvik system he is supposed to be attacking. Neither has anyone else accepted the tradition of ‘ritviks as Gurus’. The Ritvik position IS that Ritvik means ‘representative of Guru’ as defined in the July 9th directive. Why NM is wasting his time defeating one ‘straw-man’ argument after another is baffling. He should at least make some attempt to learn about what he supposed to be talking about. Otherwise he should simply stay quiet, lest he ends up revealing his great ignorance on the subject, just as he has continually done here. Understood according to whom, that such representatives can only act on a timely or provisional basis? NM has not presented one word from Guru, sadhu or sastra to back up this speculation of his. No one except NM is conjecturing this. No one has ever proposed that the Diksa Guru appoints a Ritvik who is more qualified than him to give Diksa to others. For the umpteenth time - how much simpler can one make it – the Diksa Guru gives Diksa – the ritvik simply assists in conducting the initiation formalities. Thus NM presents yet another ludicrous ‘straw-man’ argument further revealing his gross ignorance of the subject. No one is accusing Srila Prabhupada of this. Only NM’s fertile imagination is able to conjure up such useless notions, due to his poor fund of knowledge regarding the subject at hand. Therefore on the path toward attaining the supreme absolute reality, Bhagavan, this concocted rtvik conception as given by NM is impractical and against the scriptural conclusions, and also a gross mis-representation of the actual position advocated by the IRM. As well as seeing yet again NM’s gross ignorance of the subject he is supposed to be enlightening us on, he has also revealed some more of his traits. He is very keen to undermine Srila Prabhupada by attacking the initiation methodology he employed. This merely reveals his lack of understanding of Guru tattva, since he incorrectly thinks that Diksa is not bona fide if given by an audio recording. The reality however, as demonstrated by Srila Prabhupada, is that Diksa is always bona fide as long as the Guru has authorised the system via which Diksa is given. And finally we have also seen that NM has infected himself with the GBC disease of contradicting himself. Self-contradiction is a common ailment when one does not have a consistent and coherent philosophy, but instead speaks due to a mixture of speculation and ignorance. In conclusion, we see yet again how the ideology of NM regarding Guru tattva is at complete odds with that presented by Srila Prabhupada, and those who claim to be loyal and faithful to Srila Prabhupada should not continue to be in ignorance of this fact. Thank You.